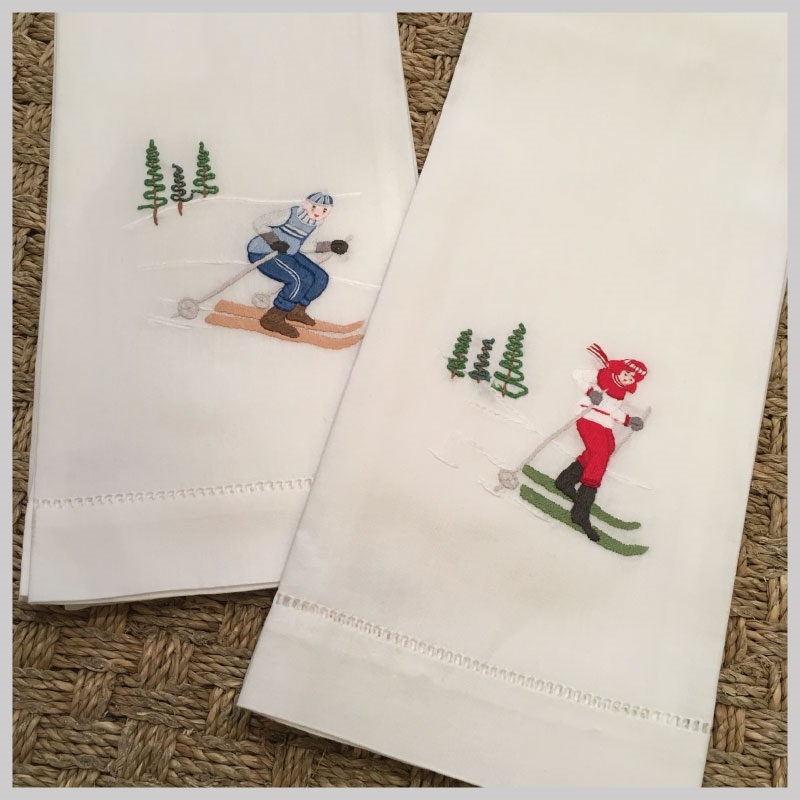 A ski house necessity...this set of guest towels is perfect for a powder room. 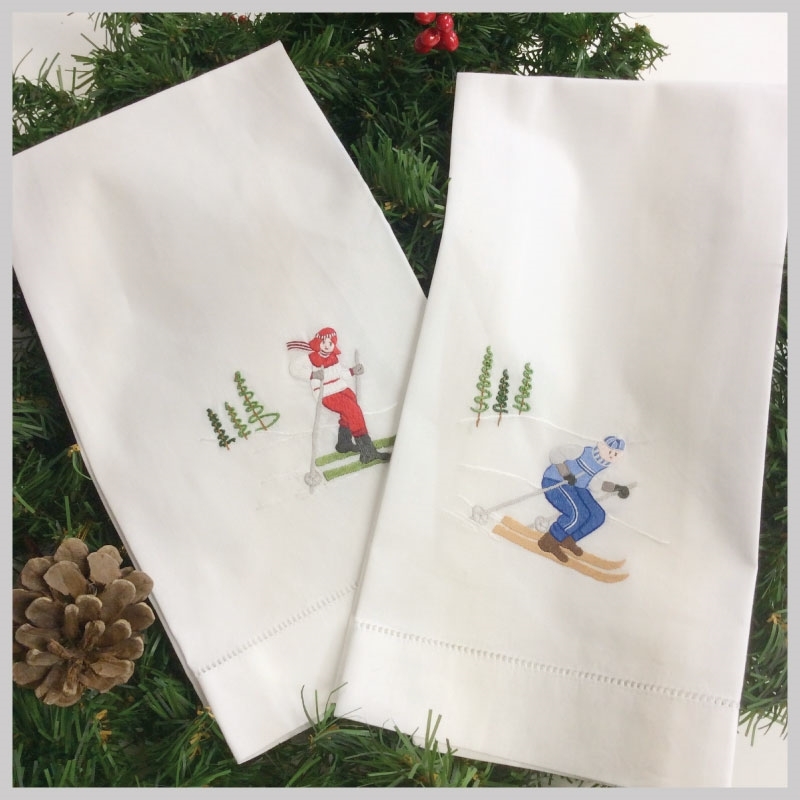 The old fashion skier design is hand stitched on 100% cotton with a hand finished hemstitch. Towels measure 16x24 inches. For help with sizes, colors or questions email us at sales@monogramsoffmadison.com or call us at 646 546 5993.